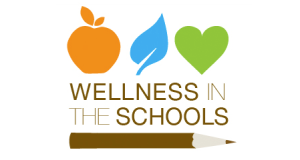 Wellness is very important at Kimball Area Public Schools. We seek to assure a school environment that promotes and protects student and staff safety, health, well-being, and ability to learn by supporting healthy habits and physical activity. Our Wellness Policy was revised and approved in 2017. Click HEREto view. USDA has established practical, science-based nutrition standards for snack foods and beverages sold to children at school during the school day. The standards allow schools to offer healthier snack foods to children, while limiting junk food. The health of today’s school environment continues to improve. Students across the country are now offered healthier school lunches with more fruits, vegetables and whole grains. The Smart Snacks in School standards build on those healthy advancements and ensure that kids are only offered tasty and nutritious foods during the school day. Click HERE to view the Smart Snacks standards. Smart Snacks in School also supports efforts by school food service staff, school administrators, teachers, parents and the school community, all working hard to instill healthy habits in students. Celebrate student birthdays and celebrations with the help of Taher Food Service. Simply open the Cubs Celebration Treats order form, choose the snack type to be delivered to your child's classroom, and submit payment to Sherry Hanson, Food Service Director. Celebration snacks will be delivered to the classroom on a Celebration Treat Day, which is held on the 2nd Friday of each month. The Celebration days for 2017-18 include September 15, October 13, November 10, December 8, January 12, February 9, March 9, April 13 and May 11.